January 22, 2015 By This post may contain affiliate links. 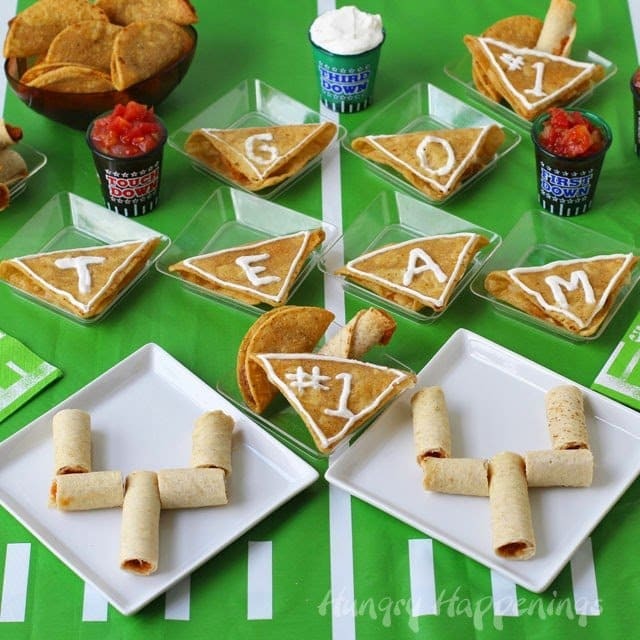 When you have a crowd coming over to watch the big game, and you want some festive yet easy appetizers to make you can quickly turn José Olé® Taquitos into goal posts and José Olé Nacho Bites into pennants. 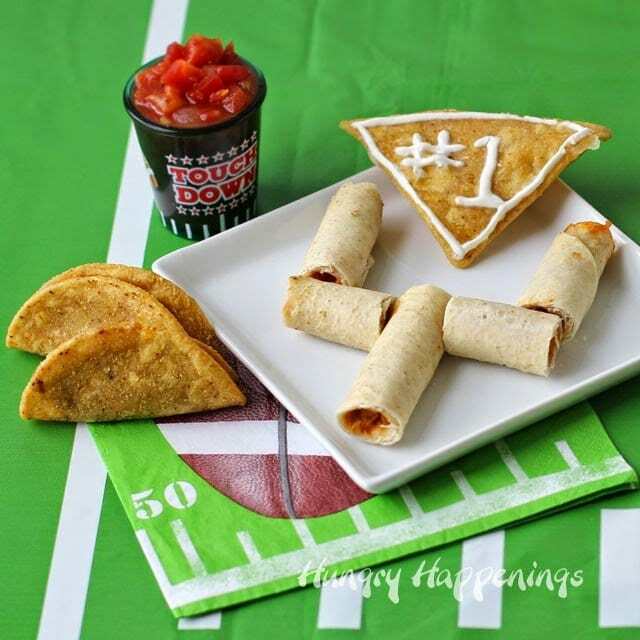 Prepare all these Taquitos Goal Posts and Nacho Bite Pennants for your party in under 30 minutes. Post sponsored by José Olé #BigGameAppetites. I promised you that this year, I’d try to create some super simple edible craft projects, and these Super Bowl snack ideas couldn’t be much easier. Even though they took me very little time to create, when everything was laid out on my table, it looked really impressive and fun. When I put this spread together, my husband came downstairs sniffing the air with a big grin on his face. He’s gotten so used to all the sweet smells coming out of my kitchen during the day and knows he often can’t sneak a taste until I’m completely done creating a recipe, but when the scent of savory snacks wafts through the house, he can’t help himself. He hopes I have extras to share. Lucky for him, I did. He was quite happy to see trays full of José Olé Taquitos, Nacho Bites and Mini Tacos, and he filled a plate and disappeared and left me to my work, which really wasn’t much work at all. 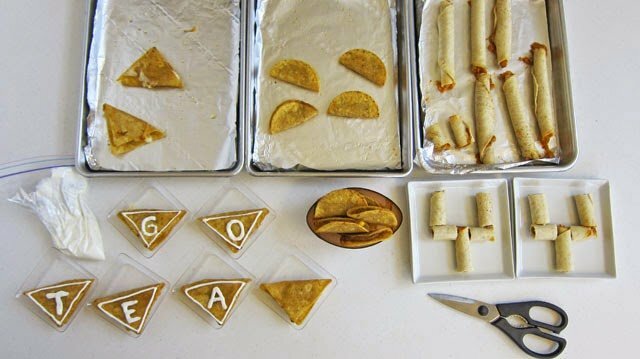 I simply piped some sour cream on the Nacho Bites, turning them into pennant banners, and cut and arranged the taquitos into goal posts. So simple. I threw a football field tablecloth on my table, poured some salsa and sour cream into my touch down shot glasses, and arranged my appetizers. From start to finish, it took me about 25 minutes. Cant’ beat that. After my photo shoot was complete, it didn’t take my husband long to sneak back in the kitchen for a second plate. I figured if these meat and cheese filled snacks can make him that happy, they’ll be sure satisfy hungry party guests. 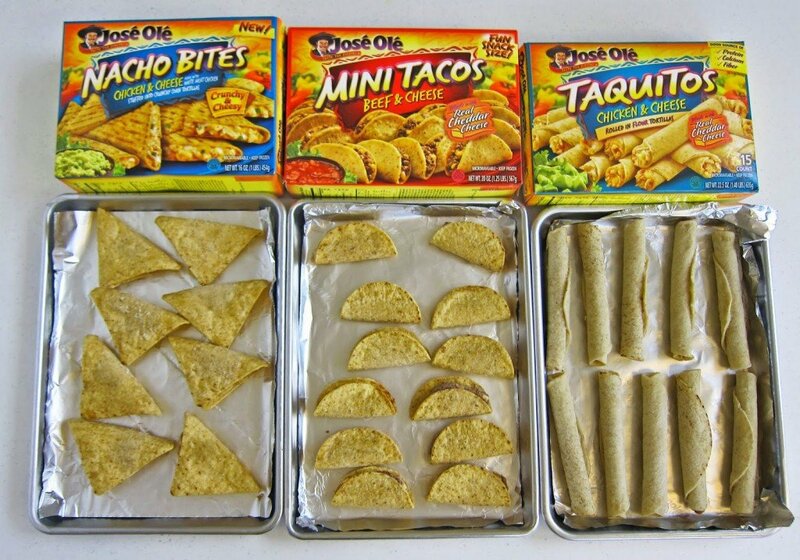 Bake the Nacho Bites and Taquitos according to the package instructions. I also made some of the mini tacos. Aren’t’ they cute? Spoon some sour cream into a small zip top bag, and snip off one tip to create a small opening. Pipe a border around the nacho bites, then add “Go Team,” “#1” or the name of your favorite team. 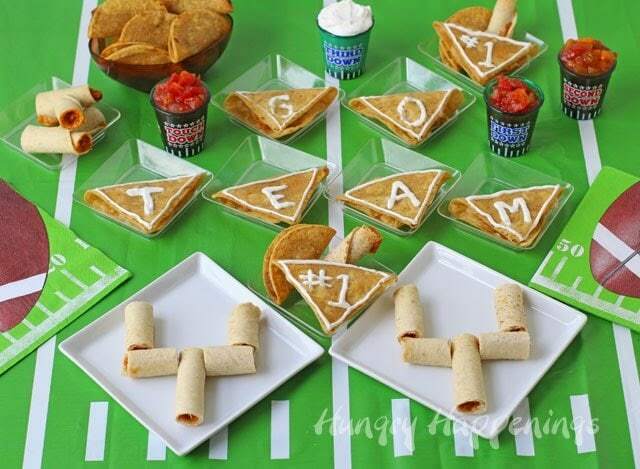 Cut the taquitos and arrange them to look like goal posts. Put the mini tacos in a football shaped bowl and set your party table. If you plan to host a party, or just want some fun snacks, you can grab a $1 off coupon for Jose Ole snacks right now.